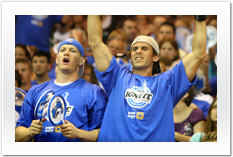 Join us at the Amway Center as we cheer on Orlando's basketball team, the Orlando Magic! 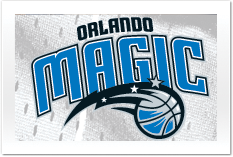 See below for links to the Orlando Magic basketball schedule, find Orlando Magic tickets, and learn about our hometown team. View your seats in 3D. Click here. The Magic will play 3 preseason games and 39 regular season games this season at home. Check out the complete schedule! For information on how to buy tickets click here. 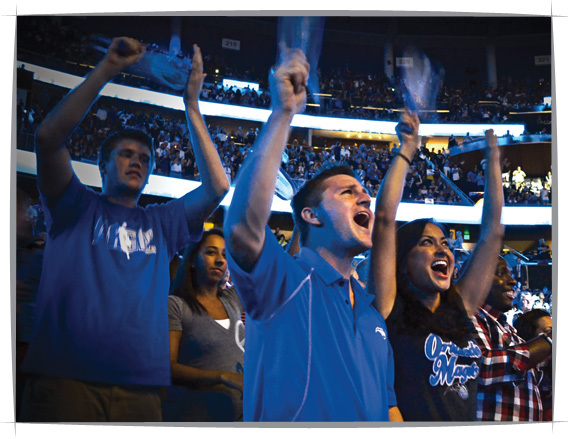 Spend an evening with your group at the Amway Center. 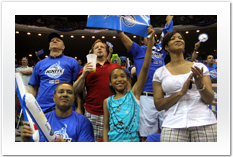 Take part in a fan experience on the court and more! Click below for more information. 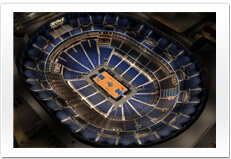 The Amway Center is a great place to create legendary moments with your friends or colleagues. 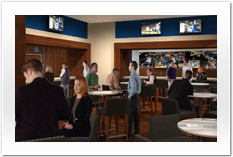 Premium Suites and Hospitality areas are available for Concerts, Events and Magic games. Click below for more information. 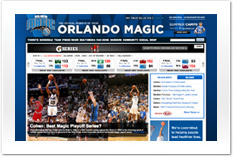 For unbeatable stories and videos on the Orlando Magic visit orlandomagic.com.